Linda Shenton Matchett was a Human Resources professional in the Washington, DC area for twenty-five years before tossing in the towel and moving to NH to operate a Bed and Breakfast. That chapter of her life has closed, and she’s now the Dining Hall and Catering Manager for a boarding school. In her off hours, she serves as a volunteer docent at the Wright Museum of WWII. 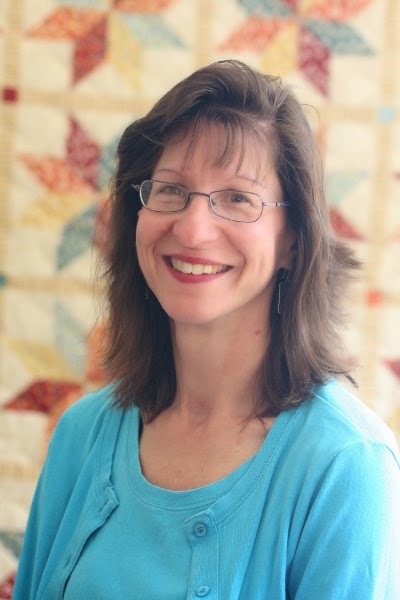 She’s been a freelance writer for over twelve years, but also writes historical fiction. Linda was a semi-finalist in the 2013 and 2015 ACFW Genesis contest. She’s a member of ACFW and Sisters in Crime, and she joins me today to talk about her newest book. I have always been intrigued with the Old Testament story of Ruth. Told with only eighty-five verses, there are missing elements. For several years, I’ve toyed with the idea of writing a fictionalization of Ruth, but I wasn’t comfortable writing biblical era stories. Time passed, and the project stayed on the back burner. Last winter when I was asked to consider writing a novella, I knew this was the opportunity to tell Ruth’s story. While studying the book of Ruth in an effort to figure out how to approach the novella, I got to thinking about my childhood and my husband’s. Both of our dads worked for IBM, so our families moved often while we were growing up. I’ve always been outgoing and didn’t have much trouble fitting in at each new location. I usually made friends soon after we arrived. On the other hand, my husband is introverted. The many relocations he experienced were excruciating. Two similar situations-two very different reactions. I decided to write Ruth’s character from my husband’s point of view – one in which the move was frightening. I modernized the story and chose the WWII era because it gave me the conflict I needed: a German woman relocating to a country that was an enemy of her homeland. There were lots of questions I wanted to explore with Love’s Harvest. What went into Ruth’s decision to leave her homeland to move to a foreign country? She was widowed at a young age. How young? She was a Moabite. Why would she be willing to marry an Israelite? Why was she willing to give up her religion? She left her country behind to accompany her mother-in-law, Naomi, home. Did Ruth not have any family? If so, why leave them behind? Why was she willing to go with Naomi? Did she have trouble learning the language of her new country? Was she able to fit in? Did she have any regrets? Then there is Naomi. Not only widowed, she lost both her children. No wonder she became bitter. Yet, she welcomed her daughter-in-law to tag along, and then helped her find a new husband. What about Boaz? He’s also a mystery. We know he was wealthy and a kind and generous man, but there is very little additional information. The characters in Love’s Harvest deal with grief, loss, forgiveness, and faith. My favorite verse is Jeremiah 29:11 “For I know the plans I have for you,” declares the Lord, “plans for welfare and not for calamity to give you a future and a hope.” I tried to show that even though Naomi (Noreen) and Ruth (Rosa) suffered great tragedy, they were able to come out on the other side with hope and joy. In the end, God’s plans worked for their good. He can and will do the same for us. Book Blurb: Love’s Harvest released on April 4, 2016. 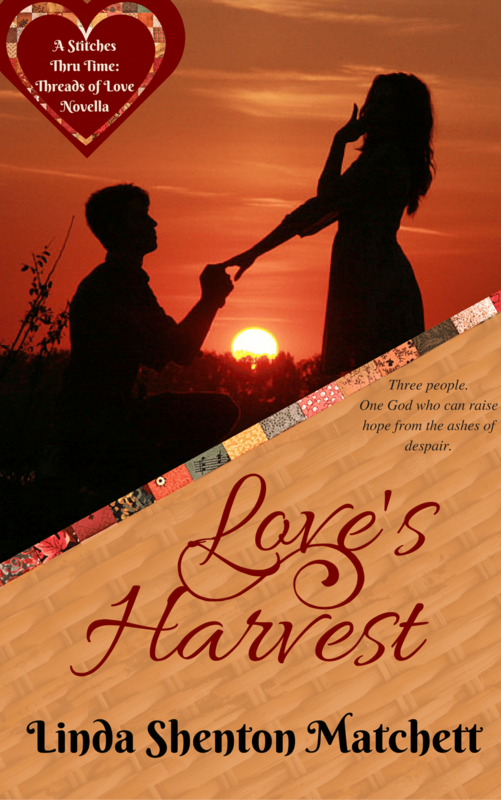 Enter to win an e-book of Love’s Harvest by leaving a comment!